Hanging on meant living in the moment and dealing with the pain. I cried to express my sadness, and tried not to hold in my tears. Sometimes I even screamed or yelled, but I continued to move forward. I maintained hope that I would adjust to my loss. I prayed my life would be easier in the future, and I often dreamt about it. 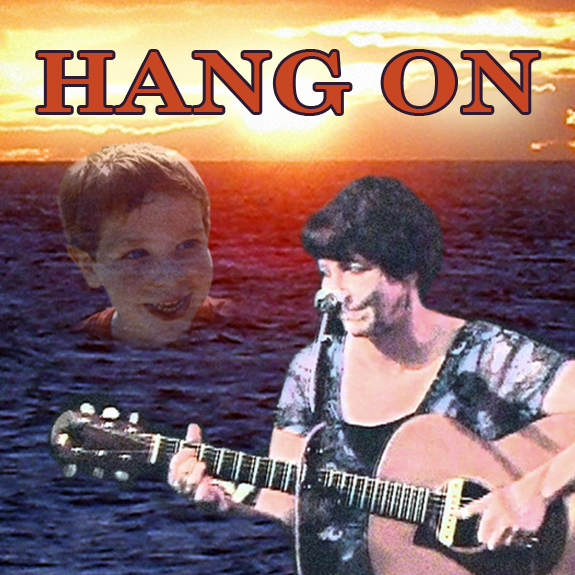 Hanging on was my willingness to search for anything that would help me feel better. That included reading books, going to support group meetings, and crying along with other people who were suffering with similar circumstances. This reminded me that I was not alone with my pain, and helping other people to hang on actually helped me even more. Hanging on was an expression of vulnerability. When I pictured myself slipping at the end of my rope, I gripped on tighter and prayed for the strength to continue. Sharing vulnerability represented my willingness to allow others to offer support. Hanging on taught me how strong I was. I just knew that I would survive the pain somehow. I plodded onward and did the best I could. When I was grieving, I did all those things until the day arrived when I realized that it had become easier to hang on. The sun started shining again and life became bearable. My survival was something I was proud of and it gave me deep appreciation for life. The process of emerging into sunshine was something that could not be rushed. But the most beautiful thing of all was that when I gave myself permission to be joyful, I found happiness. 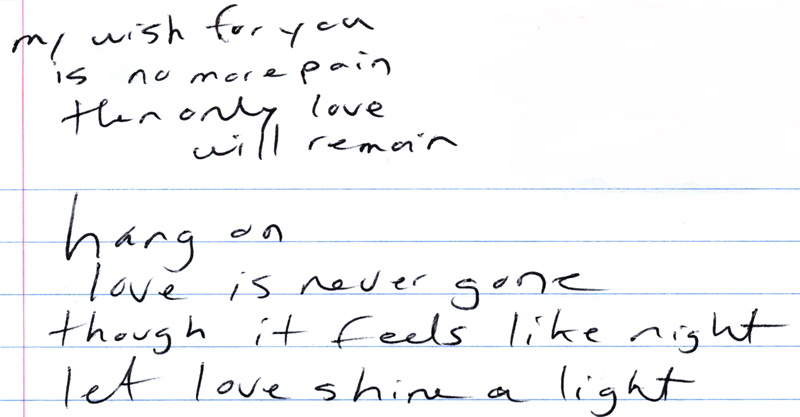 With my lyric line “one day, your pain will go away,” I realize I have no certainty about that. It is only a profound wish, but I believe having hope is definitely a start toward feeling better. Even though I used to believe my sorrow would never leave, I still want to share my experience and my music to offer any comfort that I can to others. 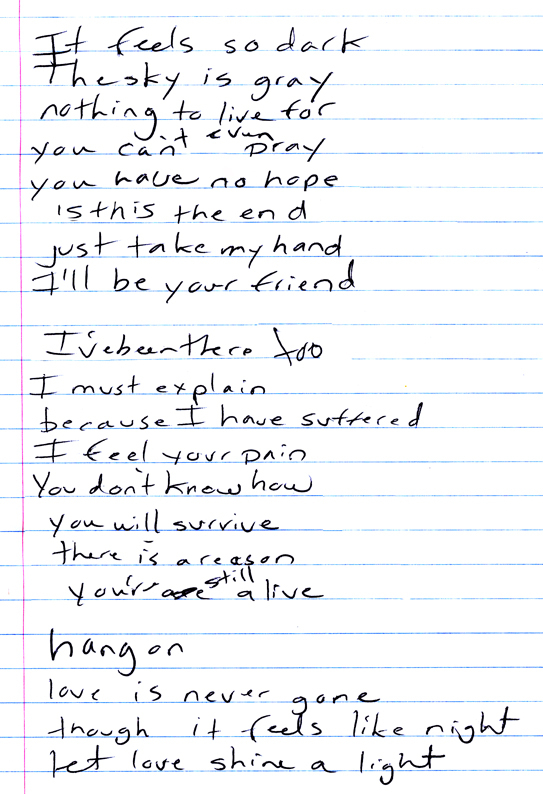 When I sing the line “I feel your pain,” I honestly do feel anguish over other people’s grief and circumstances. But I acknowledge that everyone’s pain is uniquely theirs to carry. Even though I also say, “I’ve been there, too,” it doesn’t matter. No one can truly imagine another person’s pain while in deep grief. When I was deeply grieving, it was so painful I often wondered why I was still alive. I find it unbelievable that I was able to continue illustrating. I truly did not see color in the world; everything was in black and white for years and years. And then one day, I saw color again. It has only been five months since we lost my grandson. My wife and daughter were walking back to our truck and he broke away to run and get there first. He was run over and crushed. He was only 28 months old. I don’t think that there is a parent that has not had that happen, a child jerking away or just dropping down on the floor to get away. My daughter is now not only in pain for the loss of her son, but blames herself for not holding his hand tighter or why didn’t she just carry him. I don’t know what to do or how to help her. My wife wakes me up two or three nights a week screaming for our grandson and trying to pull him back to safety. All I can do is hold her and cry with her. After I get her back to sleep, I am awake the rest of the night. I miss my grandson and cry every day. If I am out and see a blond headed little boy his age I break down and cry. I thought the day he died was the worst in my life. I remember your story from when you wrote a few months ago. It is extremely heartbreaking and made me cry. I am so, so sorry for your suffering. It is truly hell on earth. You are right about every day hurting as bad as the day he died. No one can understand the pain – I lost my son, but I did not lose your beloved grandson. There was only one child on this earth like him. Grandparents carry a double burden. You are suffering with your loss and in addition you have also lost your daughter to grief. She is never going to be the same and you cannot stand to see her suffer. And of course, there is so much suffering – so much guilt, so much pain. I feel for your wife, your grandson’s father and any siblings he might have had. It is a TRAGEDY. I want to offer you some comfort. Honestly, only people who have or are going through this would be able to remotely relate to what you are going through. You barely exist – and life doesn’t feel like it’s worth living. I remember that feeling well. 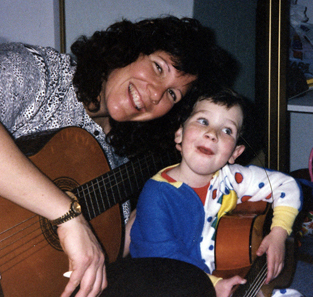 I survived my son’s death and consider that a huge achievement. All I did was “hang in there.” Sometimes, that’s all you can do – and it’s barely possible. Keep hanging in there, John. One day, it will get easier – but right now it is so fresh. Grief is about love. When you love someone deeply it is next to impossible to accept losing him or her and the unfairness of your grandson’s death is not acceptable. I have survived and I pray you will, too. Allow for your tears. It will get better – I promise. It was a few months after I turned 50 when I experienced an amazing creative renaissance. What other people might term a “midlife crisis” I preferred to view as my “midlife turning point.” I had a prolific explosion of writing, while at the same time composing and recording more than thirty songs. I named my opening up, “My Journey’s Insight,” and I gathered many friends and people from my past to join me. I shared intimately about my life in the past and present. Every step of the way, I shared my enthusiasm and passion. I wondered why I considered my experience a journey, because the truth was I had never really traveled anywhere in my sheltered life. But then I realized I had simply traveled in a different way: to remote destinations of feeling and emotion. I could accurately describe those places in a way that touched other people. With bereavement that forever changed me came deep appreciation for all the goodness in my life. I will never forget the exquisite pain, but the heartache has eased. To be human is to experience loss. I will always carry the memory of my loss, because I have adjusted to the amputation of my soul. Stress and worry always felt familiar, and I was simply numb from so much scar tissue. It became a habit for me to stuff my emotions. I didn’t expect that anything would ever change, even though I was always grateful for so much in my life. My journey began when I decided to take a different path. When my new path appeared, I was ready to follow it. With my new path everything changed for me. I opened up my heart to the world, and I found my music. I never dreamed I would be happy again. Even though it took me many years, I am grateful I didn’t let another minute go by. I wish every human could find his or her own path. This entry was posted in Grief Educational and tagged acoustic guitar, arranging music, autumn leaves, beautiful music, child's death, comforting music, compassionate friends, composing, creativity, Dealing with pain, death, death of a child, expressing feelings, Friendship, grief, grief bereavement "Loss of a Child", GRIEF RELATED, guitar, Hang On, healing and grief, healing music, hope, hope for healing, hope of healing, inspiration, Judy Unger, loss, love is never gone, lovesong, lyric development, lyric writing, lyrics, Music, music and healing, music arrangements, musical comfort, optimism, original songs, performing, singing, songwriting. Bookmark the permalink.